This type of two family home doesn't come along very often. 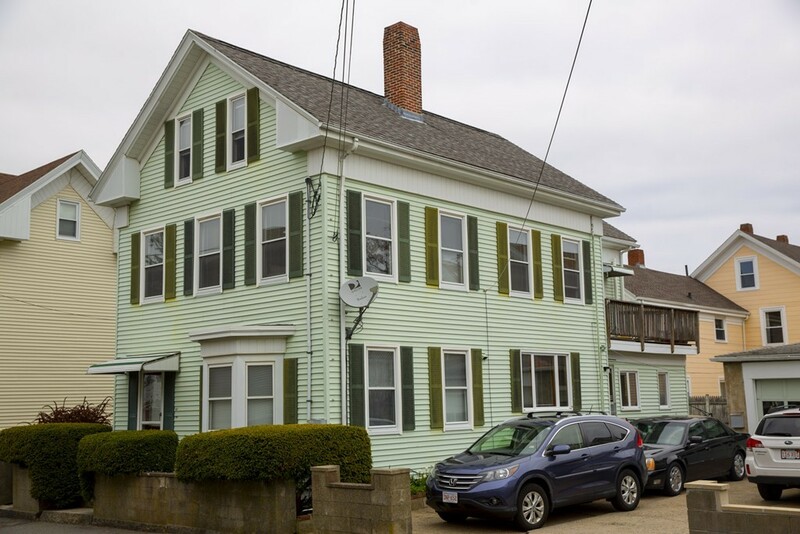 Situated in the heart of the City within close proximity to Gloucester Harbor (see the drone photos), Pavilion Beach and downtown's best restaurants. Plus the MBTA station is a mere .3 miles away. Lovingly updated and remodeled owner's unit has two full baths and two or three bedrooms depending on how you use the space. First level of owner's unit has a lovely kitchen with a deck off the kitchen, diningroom and livingroom plus an alcove which makes a great office space. Victorian style window trim, hardwood floors, attractive decorating all will make you proud to live here. The rental unit has two bedrooms, a large kitchen, a pretty livingroom with bay window and one bath. Detached building now used for storage but could be a workshop or garage.